Last night in Davies Symphony Hall, San Francisco Symphony (SFS) Resident Conductor Christian Reif took the podium to present some fascinating twists on the usual overture-concerto-symphony format. 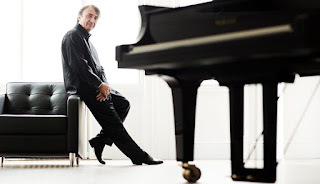 The concerto soloist was French pianist Jean-Efflam Bavouzet, who has made several stimulating visits to San Francisco since performing his SFS debut in 2012. I deliberately used the adjective ”fascinating” to recall those many moments from the original Star Trek when Spock would utter that word while raising his left eyebrow. Bavouzet’s concerto selection was Franz Liszt’s second piano concerto in A major. Liszt first drafted this concerto in 1839. After putting away the manuscript for ten years, he then subjected it to four rounds of revisions, finalizing his efforts only in 1861. That interval is a significant one in Liszt’s biography, since Liszt completed his only piano sonata (in B minor) in 1853; an ambitious project in which he wished to encompass the full scope of a sonata in a single uninterrupted movement. As might be guessed, there is considerable disagreement over whether or not Liszt succeeded in this project. Personally, I can claim to have listened to a pianist provide a brief but first-rate verbal introduction to how the sonata was structured, after which he executed what remains to this day the clearest account I ever heard of the piece. I inject this bit of history because Liszt decided to achieve that same single-movement goal with his second piano concerto. As with the sonata, reasonable listeners will definitely differ over how successful Liszt was with that concerto. Like the sonata, the concerto is a cup that runneth over with virtuoso display, often suggesting that the orchestra is there only to allow the soloist to catch his breath and flex his muscles a bit. Given that Liszt had more than ample opportunity to examine the scores of both Hector Berlioz and Richard Wagner, one would have thought that he could have picked up a few basic rules about what to do with a full instrumental ensemble; but the number of instances of poorly-conceived balance or instrumental combination are legion. This concerto is clearly all about the piano. 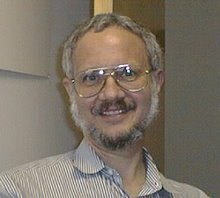 However, if one can find an underlying structural framework for the sonata to guide attentive listening, one is less likely to succeed in doing the same for the A major concerto. To paraphrase Winston Churchill, the piano part boils down to one damned display of raw virtuosity after another. All the orchestra does is shift the lights that shine on that virtuosity. Nevertheless, one can still marvel at an accomplished pianist taking on this piece. Somewhere around the halfway mark, the listener trying to follow Liszt’s path can only gape and wonder how he managed to cram in so much. Later, as the end draws near and the orchestra strikes up a jaunty march, it is hard for even the most serious listener to hold back an attack of the giggles. It is also worth considering the extent to which Holst allowed his own listening experience to impact his efforts as a composer. Uranus is described as “the Magician.” However, his theme is not one of summoning up arcane spells. Instead, it is, as Scott Foglesong described it in the program book, “a galumphing dance.” One might think, “This is a magician? ;” but then one might realize that Holst may have been nodding at Paul Dukas’ “The Sorcerer’s Apprentice,” whose protagonist prances around to music whose rhythm bears a strong family resemblance. Similarly, it is hard to imagine that Holst did not have the last of Claude Debussy’s orchestral nocturnes in mind when he deployed a choir of female voices for the distant connotations of the final “Neptune” movement. Sadly, one might have appreciated some of these subtleties better had Reif not decided to overload every loud passage. The impact was certainly blood-curdling in the opening “Mars” movement. However, when Uranus’ “galumphing” burst out with the same intensity, it was a wonder that the eardrums were still up to the subtleties of “Neptune.” Some of us would like to believe that there is more to Holst’s music than raw spectacle. Reif managed both his instrumental resources and his dynamics far better in the evening’s “overture,” which was actually the instrumental prologue to the first act of Richard Wagner’s opera Götterdämmerung (twilight of the gods). Most listeners know that this is the last of the four operas that constitute Der Ring des Nibelungen. For those familiar with the entire cycle, that prologue, usually known as “Siegfried’s Rhine Journey” serves up a remarkably comprehensive account of many of the themes that have cut across the entire four-opera cycle. Reif conducted as one who clearly knew the whole story and recognized the extent to which the music summarizes “the action thus far.” In doing so, he provided an excellent “warm-up” for all those planning to experience the entire four-opera cycle when it is presented by San Francisco Opera this coming June.